Hello Everyone! 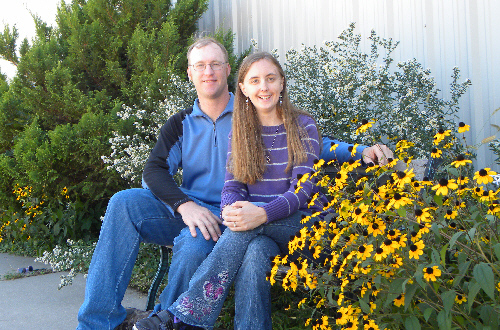 My name is Gil, I�m the director at Glad Tidings Bible Camp in North-east Nebraska. I�m extremely excited to see and be a part of the amazing things God is doing at the camp and in the area. My wonderful wife, Jamie and I have been married since 2002. We moved up to the camp from Omaha, Nebraska. We have a cat named Royal. I love to play strategy board games like Settlers of Catan and Agricola. I like to play campfire songs on the guitar. And I bring quite a number of years of camping experience to Glad Tidings. It has been great to meet some of you who have been involved in Glad Tidings! Each person I meet brings a new story of how camp has impacted them. I�m very much looking forward to talking and partnering with everyone who wants to see the camp move forward to accomplish the Camp�s mission to impact lives for Jesus Christ. Hi! My name is Rebecca Baehr and I moved to Glad Tidings in the fall of 2016. I work as the camp�s General Assistant, which means I do a little bit of everything. I clean the camp, organize the buildings, help with the mowing, work on camp mailings, plan the meals for our summer camps and retreats, help in the kitchen, and just about anything else anybody needs me to do! I moved here after a prayerful and diligent search for a ministry to be a part of. I ended up at Glad Tidings after talking to Gil and Jamie who I met at another camp we used to be involved with. Based on conversations with them, I saw all of the pieces fall into place confirming that this is where God wanted me to be. I grew up in Southeast Nebraska outside of a small town of about 500 people. I was homeschooled from the 4th grade through high school. 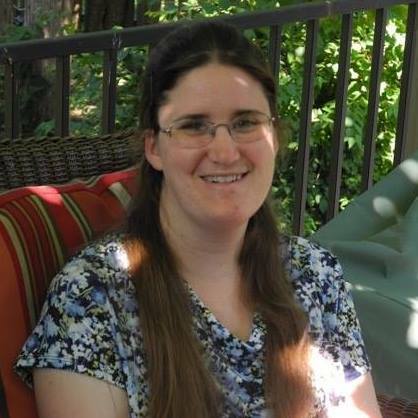 Then, I enjoyed serving families as a homeschooling mother�s helper. I also cleaned houses and took care of the elderly in their homes. Now, when I�m not working at camp, I work as an audio transcriptionist and a bookkeeper to supplement my income. Some of the things that I enjoy doing in my spare time are crocheting, playing board games, and spending time with family and friends. I am very grateful for the opportunity to be here serving God at camp. I am excited to see what else He is going to do! Each applicant will need two references to fill out a reference form and submit it to the camp. References should be able to give insight into the spiritual maturity of the applicant and their ability to work in a children/youth-focused ministry. As a part of the application process (above), you will be asked for contact info for your references and an email form will be sent to them. We will be contacting you between now and early May to discuss your application. Those we accept as volunteer staff will be notified soon thereafter, and we will ask you to commit to coming for your available week(s). Plan to come to camp the evening before that camp starts (for training and prep) and stay until the evening that camp ends (for de-brief and cleaning). Once you're accepted, go subscribe to the "2018 GTBC Summer Staff" Facebook group. Also, we will be emailing you a Volunteer Staff Info Packet. Help us find more Volunteer Summer Staff by telling your friends. Also, encourage kids you know to come to camp. If you would like, you may create a design for the summer's T-shirt. Everyone who applies to be on staff before May 1st can vote for their favorite design - and it could be yours! Be praying now that God will effectively use you to impact lives for Jesus Christ.